This is an ad for my group’s radio show. Instantly you can see that this ad is very simple. This ad follows a theme of minimalism. My group’s radio show will be on the topic of surveillance, which is why there is a large camera directed towards the audience. The sky blue background makes it seem as if it is high in the air, and the offset makes it seem as if it is peering into the audience’s life off of the screen. 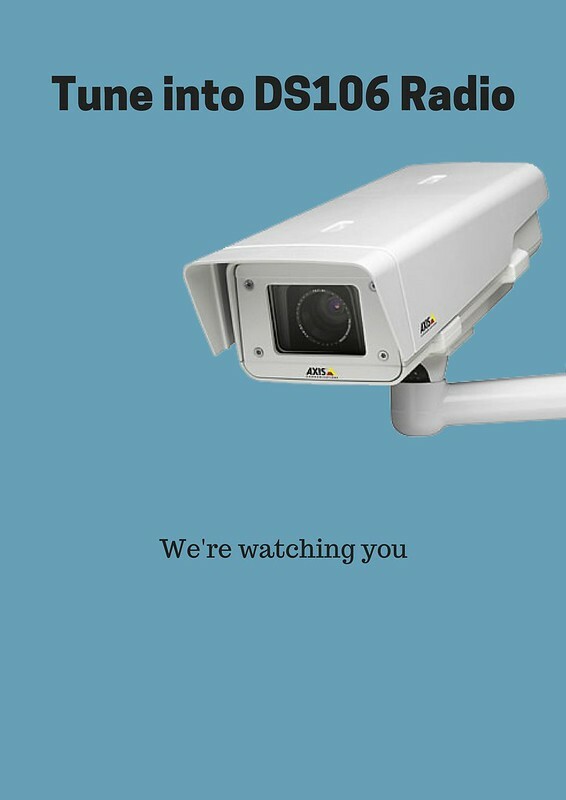 The phrase “we’re watching you” is simple and leaves it up to audience interpretation of what we are going to do. I am not sure what times this show will be aired so I kept it simple without listing it.